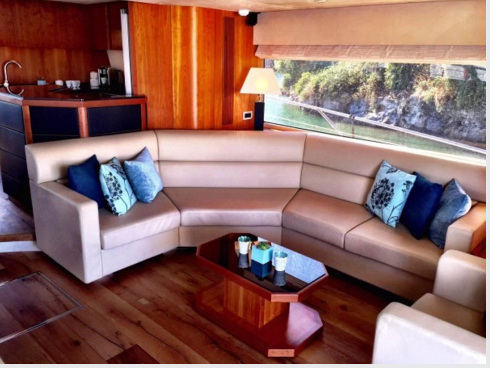 The luxurious main salon has multiple seating areas as well as a formal dining area and can easily accommodate up to 8 guests. 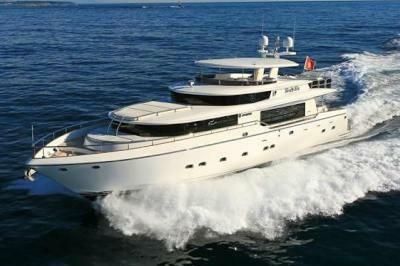 The interior has been upgraded to include luxurious large plank hardwood floors throughout. 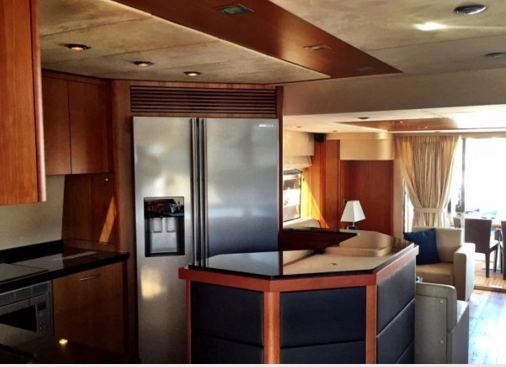 The galley allows guests the opportunity to watch their luxury chef in action. 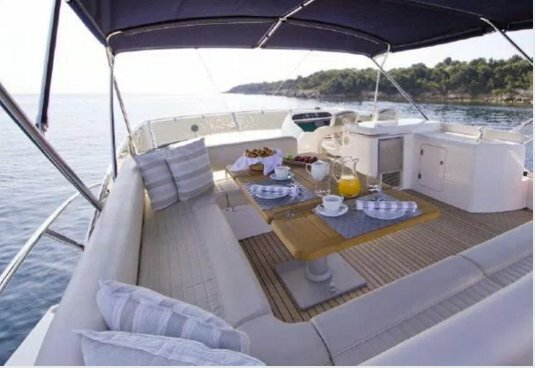 A high level of elegance and comfort throughout, the beautiful living space is topped off with large panoramic windows that will ensure you capture the views of the islands no matter where you choose to sit and relax. 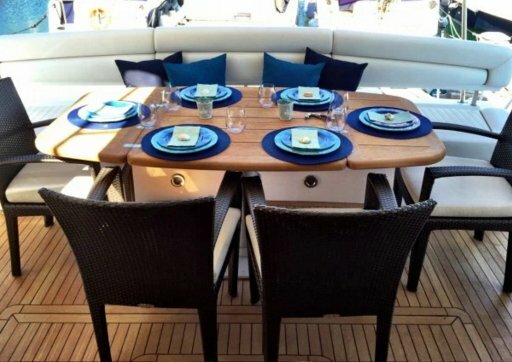 The aft deck is an excellent dining area where you can dine al fresco with family and friends while enjoying the cool sea breeze and watching the magnificent Caribbean sunsets. 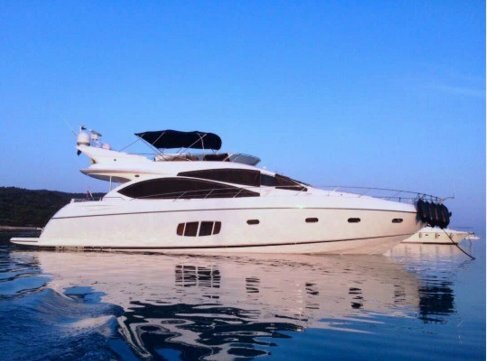 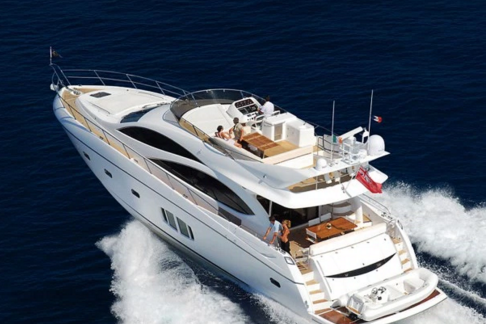 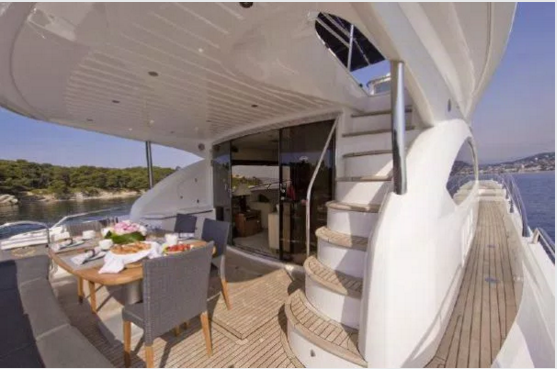 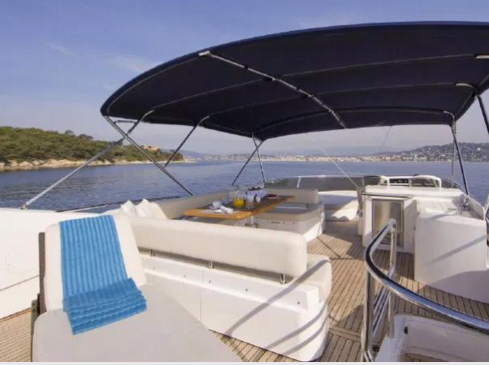 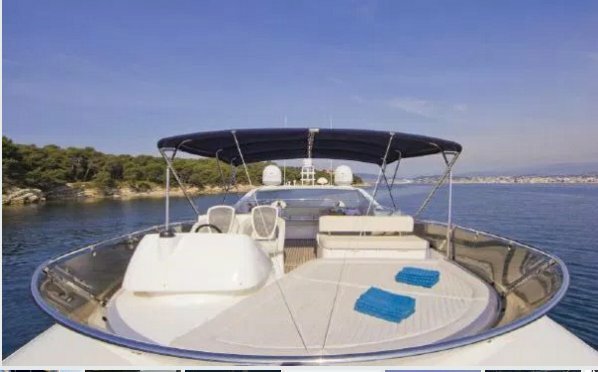 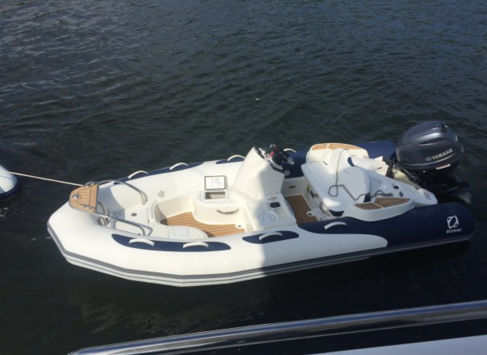 The lower level of the yacht has 4 tastefully designed cabins that can accommodate up to 8 guests, each with its own en-suite bathroom and entertaining system. 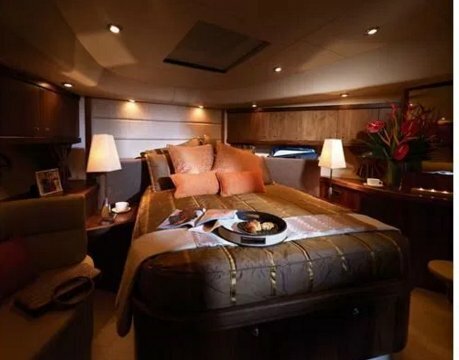 There is a magnificent master suite and a forward VIP, both with queen berths. 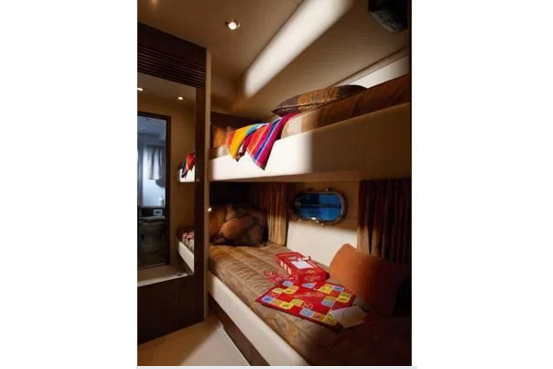 The other cabin includes two twin beds that can be converted to one double. 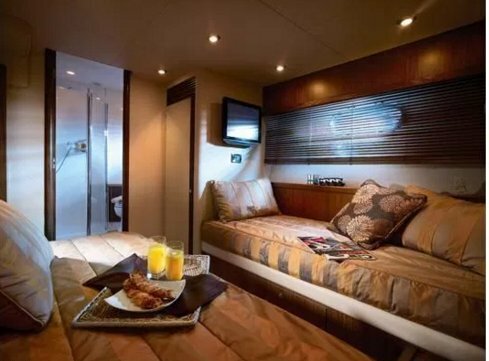 Crew quarters completely separate to ensure total privacy.She is fast, yet virtually as comfortable at sea as when docked due to the well proven hull profile and design balance along with an excellent sound insulation throughout. 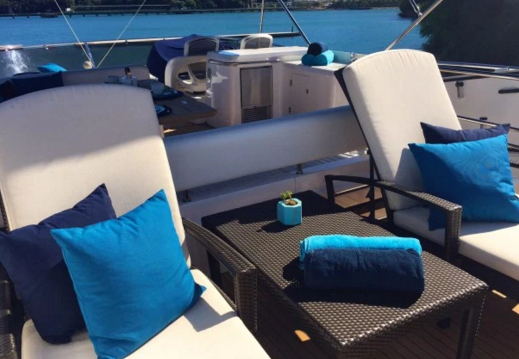 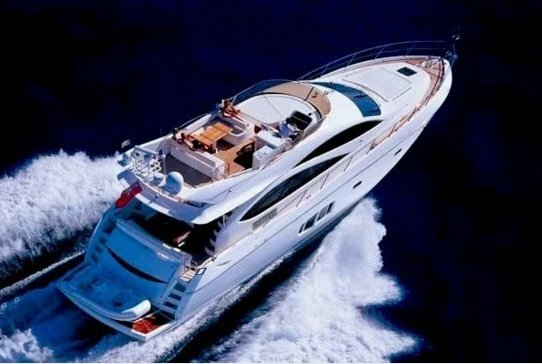 This Awesome Yacht is Ready for You in the Caribbean!